I noticed that you have on your current co-op that you don’t need the funding but wish to establish a relationship with the Kickfurther community. With that said, do you plan on paying back this co-op as soon as possible so that you may take out a second co-op? No we are not going to take out a second co-op soon as of right now. We already paid back. It appears as though your product is highly specialized to each individuals needs, how do you plan on expanding while keeping this specialization? For example, do you wish your products to go through FDA trials and eventually be a prescription option nationwide? It will take too long to do FDA trials – it is not the direction I’m going for. We will keep this specialization because we have organic growth. As we increase we will hire more people and our goal is to expand slowly in an organic manner. Do you have a remedy or are you currently by chance working on a remedy for those with burns on their skin? Yes, we have the formula for burned skin and it helps with burn scars as well. What are some challenges in working with insurance companies, or some challenges in getting established with insurance companies? Insurance companies do not cover cosmetics – insurance does not pay for it. However, that’s why I’m writing a book so the proceeds can go to a fund for the people that can’t afford my products, especially the eczema and acne cream. What made you want to develop skin care products? My son had eczema – a very severe case of eczema . My own skin needs for anti-aging and being overwhelmed by all of the products out there. What is the greatest success story of your products? My son Hieu who suffered day and night with chronic eczema. I tried giving him oatmeal baths and used various OTC creams available including Aquaphor, Aveeno, Cerave, and Cetaphil – nothing. I took him to see an allergist, dermatologist, naturopathic doctor and I even tried giving him Chinese herbal baths! Still, nothing worked. Some methods even made his eczema worse. As a pharmacist I was aware of the side effects of steroids – a main ingredient in all prescribed eczema creams and ointments. I didn’t want to give that to my child regularly, and I was tired of feeling helpless watching him agonize in pain. Since there was nothing left for me to try, my helplessness ignited my motivation to create my own cream to heal my son’s eczema. I was determined to construct something natural to finally end my son’s itchiness and redness. After months of trial and error, I finally concocted the right formula. This all natural eczema cream helped control my son’s eczema without the use of steroid cream even until this day. Are there any cosmeceutical studies that Pleasant Care Pharmacy is following closely right now? No, but we are always up to date with the current clinical trials that are being published right now. Is there any advice you would like to give to any entrepreneurs out there? Find a problem that exist in society and try to solve that problem – that’s the spirit of the entrepreneur. My last question is simple, how do you feel about the service provided to you thus far by Kickfurther? They’re great, it’s a great concept. For this Interview, I was able to put together a few questions for Dr. Phan, founder of Pleasant Care Pharmacy. I wanted to determine the route Dr.Phan had planned out for Pleasant Care Pharmacy, so I asked questions focused mainly on their expansion. I was given great insight into the direction Dr. Phan sees her company going. I really admired Dr. Phan's decision to stay out of the FDA trials. While this eliminates the potential for her products to become prescription based, she put together a plan to help those who can't afford it. Overall, I felt as though this interview helped me not only to understand why she created her product, but also what direction she wants to take it. As always a big thank you goes out to Dr.Phan for taking the time to do this interview. 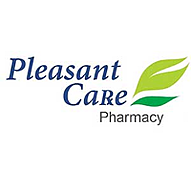 If you are interested in helping companies like Pleasant Care Pharmacy, here is a link to get you started! I will even through in a few dollars to allow you to play around our on out platform. If you have any questions, comments, or complaints, feel free to email me at Keeton@kickfurther.com. Cheers!